I was planning on blogging something deep and meaningful today – well, as deep and meaningful as you can get with Doctor Who references – but yesterday was kinda full on and I just don’t have it in me. Anyways … yesterday I went to IKEA for the 500th time while Husband waxed the floors, then we headed out for yum cha and to Strictly Ballroom as my belated Mother’s Day present. It was all quite lovely. And weird. As usual. Strictly Ballroom was a bit of a mixed bag. Seriously, Baz, three hours is waaaaaaay too long. 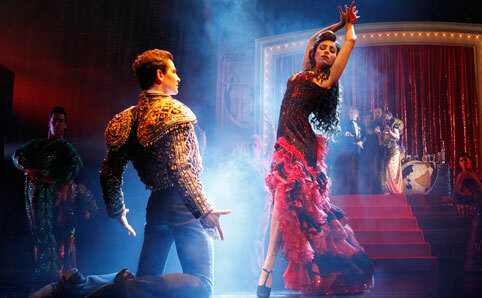 But the show had a good heart, the sets and costumes were incredible, and the Spanish bit in the middle totally rocked. But back to yum cha. During yum cha, which used to be our family thing, Husband suggested I talk to a publisher about turning my blog into a book. He doesn’t read the blog these days, but he’s got a fair idea of the subject matter I cover.